A new video blog! Answering the eternal question, “what is interesting, thought-provoking, and only four minutes long?” Take a break, watch the video, click the like button, read the book! A new video blog! It’s short! It’s insightful! It’s about an amazing book! So, what I’m getting at is, you know, it’s probably worth a click. 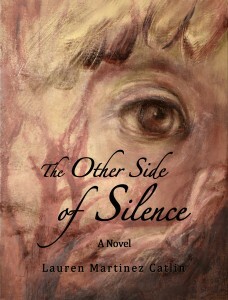 It’s some background and insight into Peter’s chapter in The Other Side of Silence. Check it out. And love the like button, you know you want to. I promise I’ll do a blog-blog sometime here soon, but for now, please peruse this video blog on the third chapter of my book. This one is for Tasia. Among the artists that I know who are trying to be professional (in the sense that we’d like to be paid for our work, not in the sense that we wear power suits or use words like “synergy”), there is a constant tug and pull between creating new work and marketing already created work. There are times when it is much easier to focus on “working on my work” (thank you, King Missile) in a dark room where no one can see me. Other times, I’d much rather putter away my working time sending e-mails, going to open mics, and furiously networking rather than start a long stare-down with a blank page. Why is it that it always seems like the right thing to do is the thing I don’t want to do right now? Is that stoic-type thinking, or just work avoidance?